Will New Oil Supplies Slow the Transition to Green Transportation? What if peak oil doesn’t take care of gas-guzzling by cutting off the supply? The Saudi oil fields may be finite, but new sources like the Canadian tar sands and the North Dakota oil shale keep opening up. That poses a challenge to the shift away from carbon-intensive transportation, according to Deborah Gordon, who studies transportation oils at the Carnegie Endowment’s Energy & Climate Program. “The real paradigm shift in the past year is abundance,” Gordon said last Friday at the book launch for Transport Beyond Oil, a new examination of the possibilities for transforming transportation. There are 160 types of oils being traded worldwide today and some of them have a heavier carbon footprint than traditional crude. North Dakota shale oil fracked from the Bakken formation is light and emits relatively less carbon than normal crude, though fracking itself is a highly controversial and potentially environmentally devastating process. Meanwhile, Canadian tar sands oil, which is higher in carbon and as thick as window putty — and about seven times more abundant than the light oil from the northern plains — requires extra, carbon-intensive processes to extract it and make it flow through pipelines, producing high-carbon byproducts. Transportation accounts for 70 percent of the oil used in the United States and a third of all carbon emissions. Any attempt to wean the U.S. off oil will have to tackle transportation. To avoid catastrophic climate change, that effort is as crucial as ever. But with a newfound abundance of oil supplies, will the incentives to make the shift lose power? Maybe not. One thing that hasn’t changed with oil abundance is the price. “In spite of the decreased scarcity, price is still a problem,” said Deron Lovaas of the Natural Resources Defense Council at the book launch. “There is still a global marketplace that determines the price of oil and there’s still a cartel whose countries depend on a lot of revenue from oil sales.” Oil price volatility is likely here to stay, he added. Good policies can provide a strong incentive to burn less gas even if prices do fall. A carbon tax, of course, would be one path. Carnegie’s David Burwell has proposed another one, targeted specifically at the transportation sector: raising the gas tax when the price of gas goes down, which would make prices more predictable for consumers and prevent low gas prices from sending the wrong signal. The premise is simply not true. As Daniel Davis says, we are awash in misinformation, not oil. World-wide oil supplies have plateaued, and the amount of oil available for export is declining because most oil-producing countries have ever-growing internal demand. (And remember, even with all our supposed new oil in the US, we are still importing 42% of the oil we consume.) Canadian tar sands are actually in Canada, which, last time I checked, is not part of the US. Estimates for tight oil (shale oil) in the US have been wildly optimistic, and most seasoned observers in the industry believe it’s likely going to see a drop as soon as 2017, if not before. 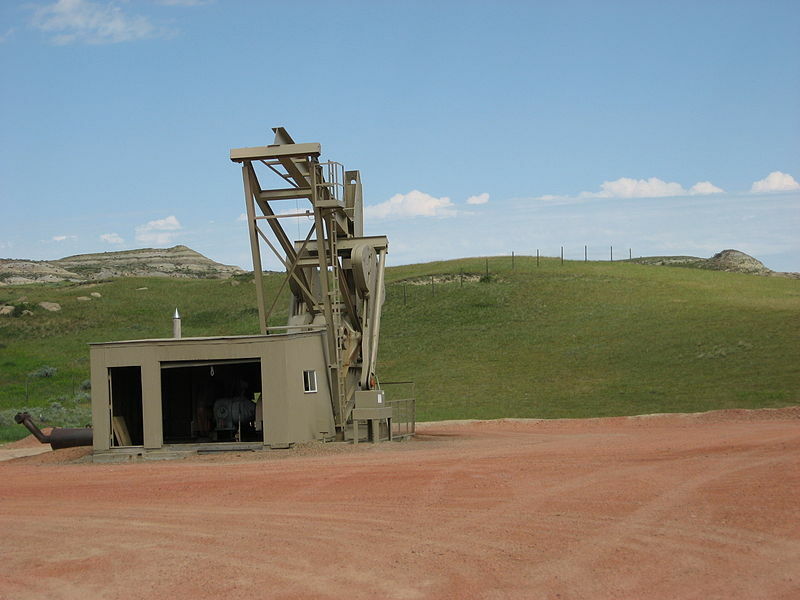 Oil shale is basically rock and unlikely to ever be economic to produce into oil, but it is often conflated with shale oil (tight oil) and it is often touted as part of the US’s vast “oil” reserves. I won’t even get into the issue of fracking and the lack of available water to produce all the tight oil even if the tight oil were really there in the quantities promised. If it weren’t for the fact that countries such as Italy, Spain, France and the UK have plummeting oil consumption, gasoline in the US would already be over $5/gallon. Last but not least, if there were truly oil abundance, why would price remain high while VMT and air travel miles are dropping? Peak oil has already hit. Smoke and mirrors are being used to encourage everyone to remain in their cars until all possible profits can be extracted. I concur with Ms. Allen and thank her for the link to Dan Davis’ article. Those looking for a free lunch with energy are delusional. “Peak Oil” is a function of both reserves and costs. As the depletion of easily recoverable hydrocarbon drives up prices, it is economically advantageous to exploit poor quality sources such as shale oil and tar sands, which cost more to develop and sell, as long as people are willing to buy the stuff at market prices. Likewise, with high prices, it is profitable for fossil fuel companies to invest in R and D efforts that find ways to extract previously unprofitable resource such as by fracking. So these synergies of price and technological development keep kicking the can down the road. Hubbert is still right, but only in the long run. That’s not equivalent to saying there is a boundless supply of energy and certainly not cheap energy. Right now according to the EIA, the world consumes about 32 billion barrels of oil per year and the US about 7 billion. Alberta tar sands, often touted as the silver bullet to U.S. oil dependence, contains perhaps 173 billion barrels of bitumen (not oil) at current prices and 1.8 trillion barrels of bitumen (not oil) maximum theoretical (i.e., a lot of that is probably not recoverable at any price). Fossil energy is still a non-renewable resource. Since humans renew themselves, we have a problem here. Aside from the environmental costs imposed by extraction from these unusual formations (massive strip mining, high water requirements, underground pollution of groundwater, and CO2 equivalents to bring to market) one has to ante up the carbon released to the atmosphere by continuing to depend on fossil energy via coal and other fossil fuel conversion to energy. Are we willing to risk our future in a planet with 1000 ppm CO2 in our atmosphere? I think the best tactic going forward is to focus on the health effects of fossil fuel use. Everyone knows somebody has gotten cancer. Many of those cancers can be traced to the polluted environment. Health care costs are out of control largely due to preventable illnesses like cancer and asthma, as well as the health issues causes by obesity due to car use. By focusing on externalities like this, cheap fossil fuels no longer seem so cheap. Also, even though there may be more recoverable fossil fuels than thought, these supplies are much more expensive to extract. At the same time alternatives will continue to decrease in price. My educated guess is it won’t be long before people start switching to alternatives en masse regardless of the remaining reserves of fossil fuel. As a good example, look at coal. Yes, it’s still used, but its use is decreasing despite plenty of reserves simply because the alternatives, such as natural gas, are more cost effective. One the energy storage issue is solved, solar and wind should become mainstream and cheap enough to start displacing natural gas. They’ll also replace gasoline for transportation fuel because the same batteries which allow smoothing energy delivery will also make electric cars with sufficient range possible. Personal 2 ton cars in any form whether electric or not are NOT sustainable! An electric car takes the electricity of a small house and also requires 12x the land as Rail or LightRail, kills 30,000 people a year, injures hundreds of thousands a year. Anyone noticed the price of asphalt which comes from oil has ALSO quadrupled! We need Green Transit and the US has 233,000 miles of existing Rail which can be restored to service. We already have commuter Rail lines in major Metro areas which contain a major part of US population doing NOTHING on weekends, off-peak hours while the tracks are being maintained. This is the equivalent of building a road but just closing it on weekends! MARC in Maryland, NJ Transit, many commuter Rail systems are hardly fully utilized either on weekends with no service or off peak with 3 hour service. Just run the existing trains! Amazingly enough Brooking’s study in 2011 found that ALREADY without building any more Green Transit that 70% of working age Americans in 100 US metro areas only live 3/4 ths mile from a Transit stop! First run the trains and transit we already have which foolishly enough were cut in 150 US cities after the 2008 financial crash. Then revive Rail lines all over the US, add shuttles, bike paths and safe walkways so the 79% of Americans living in urbanized areas can get to places without cars. New supplies of *extremely expensive* oil are not going to change the fact that people are shifting away from oil. To do that it would have to be *cheap* oil. Electric cars are a rural tool, not an urban one. Or a tool for the handicapped (the truly handicapped, not the “I’m too fat to walk so I get this sticker” handicapped) to get around. Not everyone can walk or bike, but a few cars are needed for those who cannot move more than a few feet under their own power.